Environmentalists lament the recent end of President Obama’s “green” administration while wringing their hands in worry about the new administration. In reality, if the Trump administration succeeds in returning manufacturing to the United States, they will by far do more to decrease greenhouse gas (GHG) emissions than either President Obama or the European Union Emissions Trading System. This is because, although not commonly discussed, the transfer of manufacturing from the European Union (EU) and the US to China is a major driver of rising global GHG emissions. Obviously, this rejects the catechism that the best way to decrease GHG emissions is to increase the cost of carbon, namely carbon taxes or cap and trade systems. This line of reasoning ignores that expensive carbon means expensive electricity. For many manufacturers, the slightest rise in electricity prices drastically increases the cost of doing business. In a global economy, this adds to the incentives for a parent company to move manufacturing to China where 63 percent of the electricity is coal based and carbon is not taxed. Of course, China also has cheap, non-unionized labor, favorable exchange rates, lax regulations and perhaps lower corporate taxes. While carbon tax advocates maintain that fuel cost alone will not cause a company to move (how they know this is unknown), it can be part of an overall competitive pressure which must be addressed. If the desire is to decrease GHG emissions, moving a business to China is the absolute worst thing to do. Since the US and the EU began pricing carbon through taxes or regulation, their global share of manufacturing decreased. China, alternatively, went from 8 percent of global manufacturing in 2004 to 24 percent in 2013, a 357 percent increase. Concomitantly, Chinese emissions increased 4.3 billion tons per year. To put that in perspective, that is almost four times the decrease between 2004 and 2013 by the US and the EU, combined. Globally, China rose from 19th highest emitter to number one. To expect China to become the international leader in fighting climate change is absurd. This is the same country that burns 4.8 billion short tons of coal per year – five times the US, with another 200 gigawatts of coal fired generation under construction and announced. The cap and trade exchanges China is establishing are voluntary, which is to say, ineffectual. The ballyhooed Chinese decline in emissions is more due to economic downturn, as evidenced by China permitting 210 new coal fired plants during 2015 and Chinese construction companies building more in Vietnam. China burning coal releases tremendous amounts of sulfur and nitrous oxides which blow across the Pacific to Washington State, Oregon and California. The West increases the cost of carbon, manufacturing moves to China—the demand for coal-fired electricity soars and global GHG emissions sky rocket—this is not the approach to take. 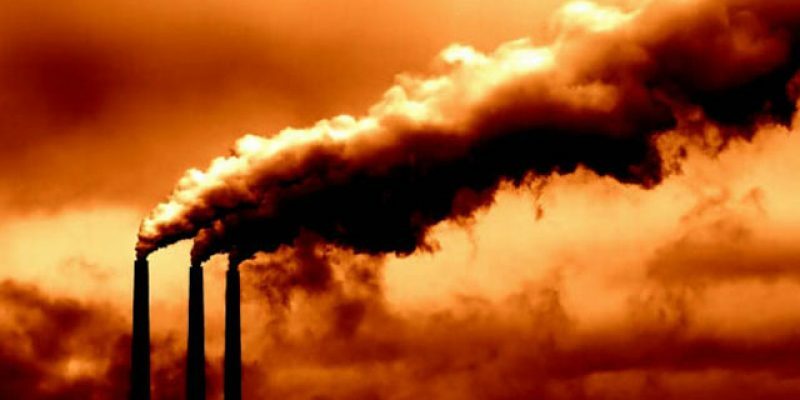 Believers in carbon pricing and Chinese good intentions will protest that the above fails to prove that carbon pricing contributes to so-called carbon leakage, or the migration of manufacturing to China. But what manufacturer would not be influenced by $70/mega-watt hour cost of electricity in China versus $120/MWh in Italy? Still, perhaps for carbon leakage deniers, a better approach is to imagine President Trump successfully returning manufacturing to the US. How then would global GHG emissions be affected? Natural gas provides a glimpse. Thanks to fracking, natural gas is plentiful, inexpensive and its share of US electricity generation surpassed coal’s in 2016. Natural gas emits approximately half the GHG equivalents of coal and when coupled with increases in renewable generation, makes the ratio of GHG emissions to GDP of the US a third of China’s. In Louisiana, we have seen the advantages of plentiful, low cost carbon based energy in attracting manufacturing. Germany’s BASF, China’s Shandong Yuhuang Chemical, Taiwan’s Formosa Plastics, Japan’s Mitsubishi Chemical and South Africa’s Sasol are among the companies which have and are investing billions to expand or build facilities in Louisiana. Investment from foreign manufacturers creates US jobs and ultimately results in lower global greenhouse gas emissions. In contrast, if companies move manufacturing to China, it improves China’s economy and increases China’s tax revenues while damaging the economy and tax revenues for the countries which formerly housed the industry. It makes China stronger and the country shipping jobs to China weaker. This is the consequence of misguided policies on climate change. Efforts to “keep it in the ground,” “tax carbon” or any other scheme to increase the cost of electricity, inevitably leads to “Made in China” and that is a one-way street to increased global greenhouse emissions. Keeping and returning manufacturing to the US is a better approach. Bill Cassidy is the senior United States senator from Louisiana. This piece originally appeared at The Daily Caller.